Last month I shared that I was working with Jan Verhoff of Spicy Salty Sweet Home to help style my living room. My room didn’t need a ton of work and we had all of our main pieces, but I wanted help making the room feel complete. 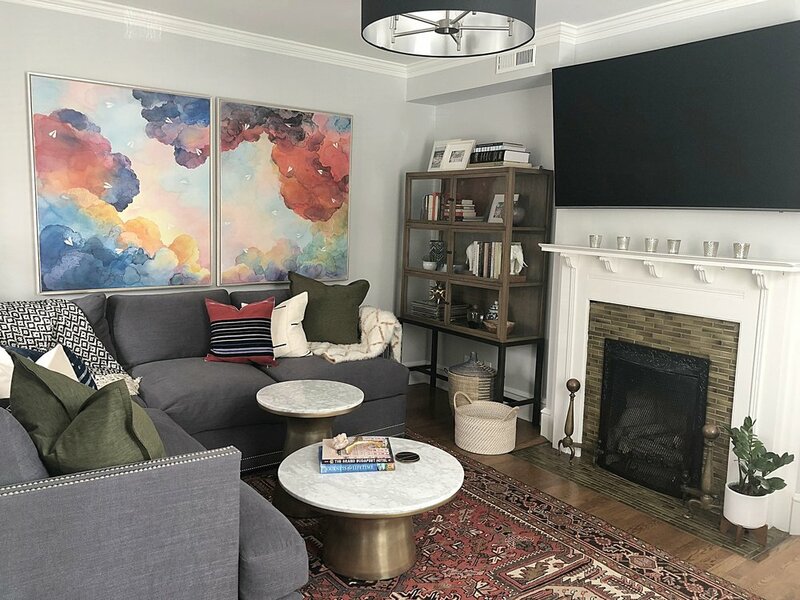 Check out the ‘before’ blog post to see how my living room looked a couple of weeks ago. 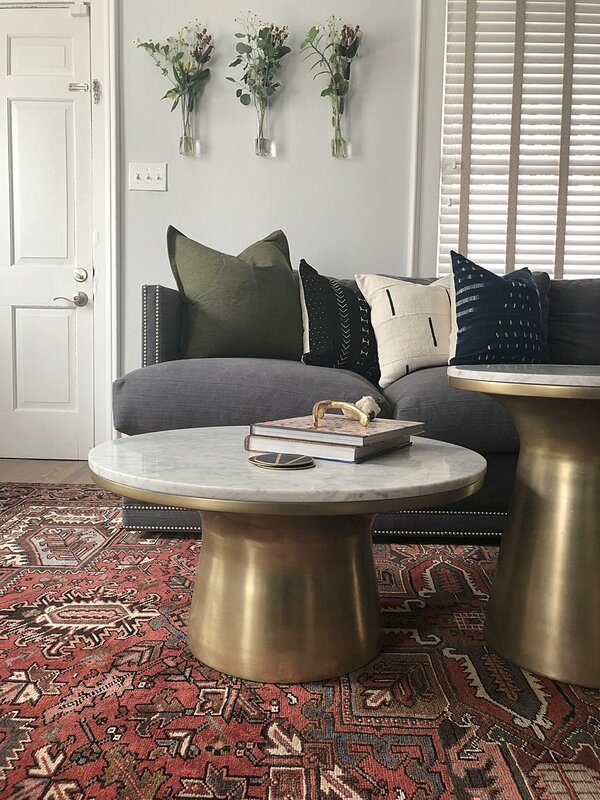 I wanted help finding pillows that brought out the different colors in our new Heriz Serapi rug such as olive, blue, and black. Jan sourced pillow options and created a mood board so we could see the different options against our main furniture pieces. This was beyond helpful with the decision-making process. One of the biggest transformations was the styling of our bookshelves. 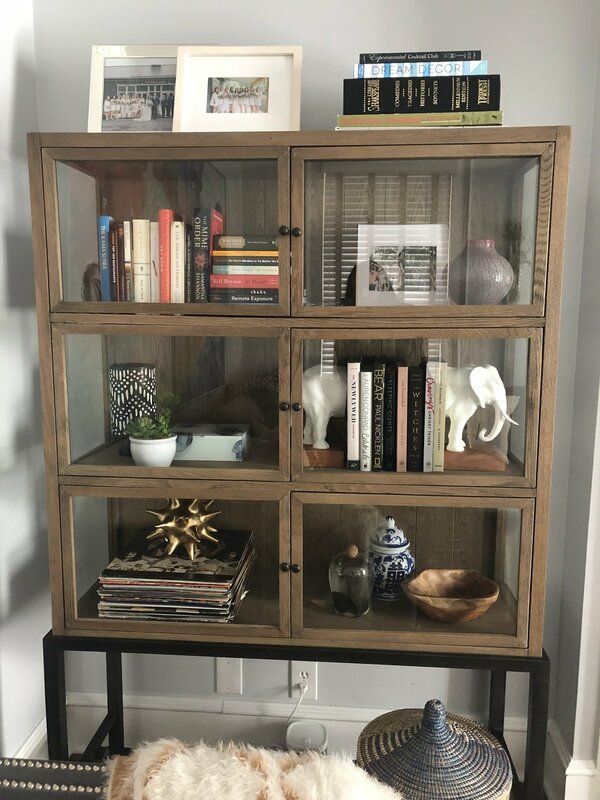 Jan did all of the shopping at TJ Maxx and HomeGoods to find a couple of affordable accessories that meshed well with our current décor. She told me she found each new décor item on different trips to the store, which I think is important to share. I believe you should love every single item in your house. Don’t feel like you need to go to the store and fill your house with things just to fill space. If your décor takes a little longer to curate, that’s okay. In the long run, your house will be filled with meaningful items that won’t end up in the garbage because you get sick of looking at them. Finally, the biggest complaint about our living room was that we didn’t have a good lighting source to turn on at night while we were hanging out in the room while watching TV. We told Jan about our issue and she found a great option from West Elm. Our space was limited, so where it sits, behind our tiny side table, is perfect. In conclusion, working with Jan was incredibly easy. She is also a fun person that you just want to be around, which is also extremely important when you are looking for interior stylist. 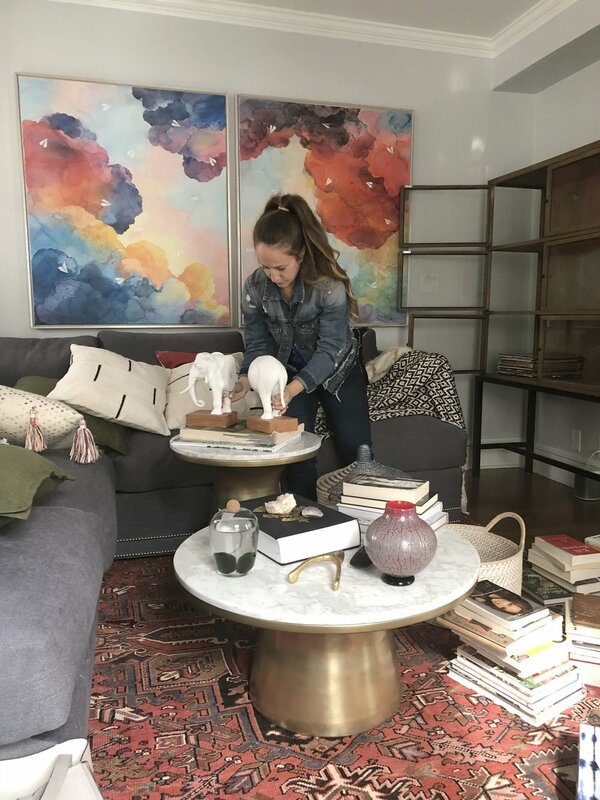 She did all the shopping and styled everything, and the best part was that she shopped my house so I didn’t have to spend a ton of money finishing the space. I could not be happier with the final result. If you're curious about what Jan can do for you, contact her here!